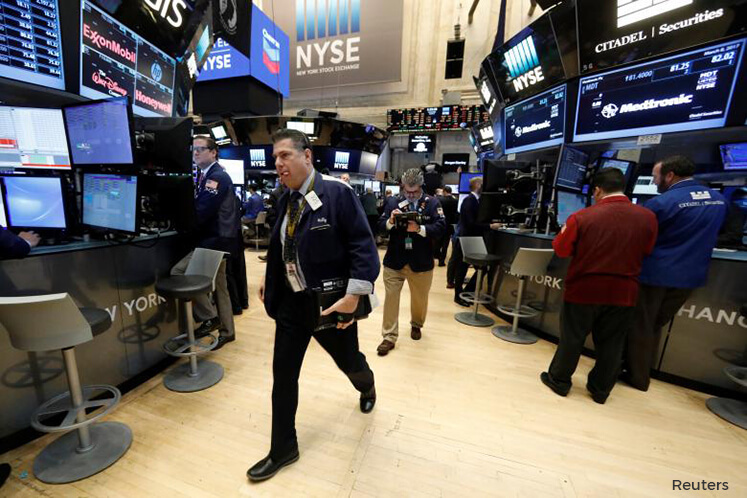 (March 23): Wall Street was little changed in early trading on Thursday amid signs that President Donald Trump is struggling to get enough votes to pass a healthcare bill in Congress. Trump was set to make a final push to secure the votes to begin dismantling Obamacare in the House of Representatives, with signs that enough Republicans might defect to jeopardize one of his top legislative priorities. Republican leaders hoped to vote on Thursday but there were signs the deadline could be pushed back. Losing or delaying it would bruise investors' confidence in Trump's ability to deliver on his promises of tax cuts and infrastructure spending. "Even if Trump gets the healthcare bill through the House, which is questionable, it's all but certain to fail in the Senate. That seems to be the political wisdom," said John Traynor, chief investment officer at People's United Bank in Bridgeport, Connecticut. "Investors are concerned ... if this vote goes poorly, then what are the implications for tax reform and repatriation of offshore capital." The S&P 500 has gained 10% since the Nov 8 presidential election, spurred mainly by Trump's campaign promises to enact legislation that are seen as pro-business. The benchmark index is trading at about 18 times expected forward earnings, compared with a 10-year average of 14, according to Thomson Reuters data. "I'm not calling for a major correction as of yet, but for investors who want to remain invested largely in equities, I suggest it's a good time to think about buying a protection to protect from a market downturn," said Hussein Sayed, chief market strategist at FXTM. At 9:38am ET (1338 GMT) the Dow Jones Industrial Average was up 3.47 points, or 0.02%, at 20,664.77, the S&P 500 was up 0.33 points, or 0.01%, at 2,348.78. The Nasdaq Composite was down 4.05 points, or 0.07%, at 5,817.59. Six of the 11 major S&P indexes were lower, with the telecommunications index's 0.25% fall leading the decliners. Oil prices were above four-month lows, with a recovery reined in by investor concerns that OPEC-led supply cuts were not yet reducing record US crude inventories. Ford fell 2.2% to US$11.53 after the automaker said it would be less profitable in 2017 on a pre-tax basis, compared with a year earlier. Five Below rose 7.3% to US$40.90 in premarket trading after the retailer's quarterly earnings beat estimates. Accenture fell 3.9% to US$121.52 after the consulting and outsourcing services provider's quarterly profit slipped. Declining issues outnumbered advancers on the NYSE by 1,432 to 1,035. On the Nasdaq, 1,195 issues fell and 894 advanced. The S&P 500 index showed three new 52-week highs and one new low.